In one family there was father, mother and two sons. One day father became very sick and died but because of his sickness they had lot of debt and now she had to clear all the debt. Father was a prophet and to survive he was working hard but because of some sudden emergency he had borrowed money from someone. There financial condition was not good. They had only one old mud jug with a bit of olive oil in it. To clear the debt creditors were planned to sell her sons as slave. Widow told her problems to Elisha and prayed to God because God gave him powers to do miracle. As Elisha suggested her to borrow all the empty jugs, jars and bowl from her neighbors and go home, close the door and pour out the oil into all the containers. Widow did as the Elisha said but they kept pouring oil in the containers but the oil would not finish. They did not find any more containers; they experience the miracle and share it with Elisha. Elisha smile and said now sell the olive oil and clear all the debts you have. 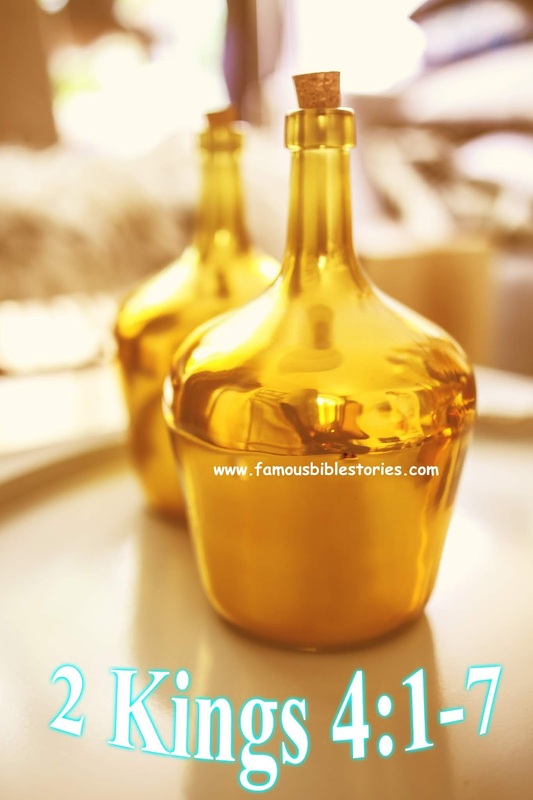 Learn from Elisha and the Widow's Oil meaning of object lesson! Short story for children's preschool lesson is known as Elisha and the Jar of Oil too. According to our own understanding everyone will have different moral lesson's to learn from this story. 1. God will give us award and rewards when will show faith. 2. We must be obedient to get the blessings. 3. We should be a good listener because listening we will not understand. 4. Love your neighbor means whenever we will be in time of trouble they will also help us. 5. We must not contempt with what God has provided us.